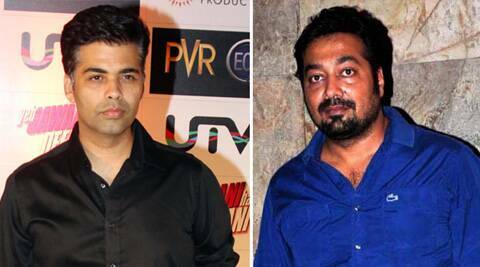 Bollywood filmmaker Karan Johar on Tuesday (April 15) said that filmmaker Anurag Kashyap had fulfilled Karan’s late father and filmmaker Yash Johar’s wish. Karan Johar revealed that his father Yash Johar believed that he should be become an actor. Karan Johar tweeted, “My father thought I should be an actor. I didn’t. Thank you Anurag Kashyap for fulfilling my dad’s wish. Just wrapped ‘Bombay Velvet’. my father thought I should be an actor… I didnt…thank you Anurag Kashyap for fulfilling my dad’s wish…just wrapped #BombayVelvet!!! The filmmaker, who has done a few cameo roles in films like ‘Dilwale Dulhaniya Le Jayenge’, will be seen in a full fledged negative role in Anurag Kashyap’s ‘Bombay Velvet’. Bombay Velvet stars Ranbir Kapoor and Aushka Sharma in lead roles. Anushka Sharma too had recently wrapped up the filming of ‘Bombay Velvet’ and ventured immediately into her home production ‘NH 10’ which also stars Neil Bhooplam.